Cleghorn was born in Leith, Edinburgh in 1871 and began his career with hometown club, Leith Athletic. 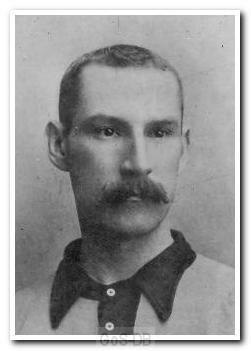 He joined Blackburn Rovers in 1894 and made a name for himself as a tough tackling left-half. After 45 appearances during two years with Blackburn, he joined Liverpool in 1896 where he played more than 50 games over three seasons. In 1898 he signed for Portsmouth where he later played under Frank Brettell. When, in 1903, Brettell took over as manager of Argyle, he recommended Cleghorn for the position of team trainer and noted that he could also serve as a reserve half-back. This he did for three seasons, playing a handful of first team games in addition to his coaching duties. As a player he was known as dour, experienced and everlasting; as a coach, clever, conscientious and well esteemed by all.